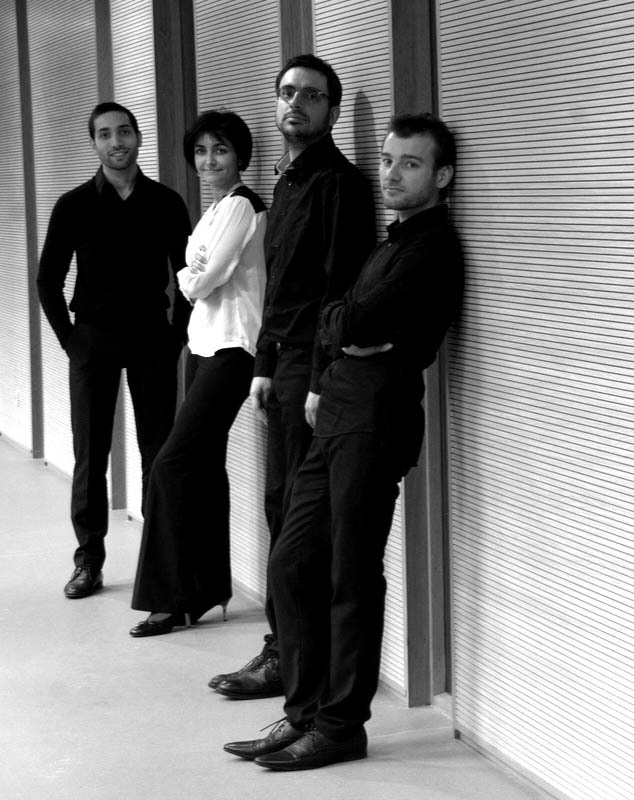 Oxycord Quartet is made up of 4 French and Portuguese guitarists based in Brussels: Julien SIGURE, Camille PLA, Thomas VANIN and Pedro DA SILVA SOARES. Shared musical aspirations led to the creation of the quartet. The pleasure of playing together was their first goal and continues to remain a priority with time, making their formation very harmonic. One of the particularities of the OXYCORD Quartet is that there is no first fixed guitar, vocals always pass from one guitar to the other, the roles are always mobile and give the impression of a real musical conversation.